A big thank you to our 380 ambassadors and 310 supporters who helped make The Big Listen a success! 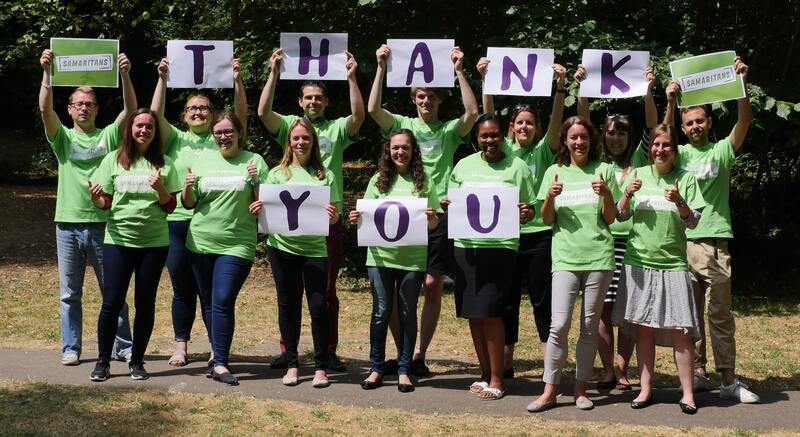 Samaritans volunteers answer more than 5 million calls for help every year (that’s a call for help every 6 seconds!). Your support during The Big Listen is helping us be there when it really matters, 24 hours a day and 365 days a year. If you have any questions about donating to Samaritans, please contact our Supporter Care Team on 03709 00 00 32 or email supportercare@samaritans.org.